Deeply hand carved of genuine rosewood in the 1860's with three dimensional grape and fruit motifs. 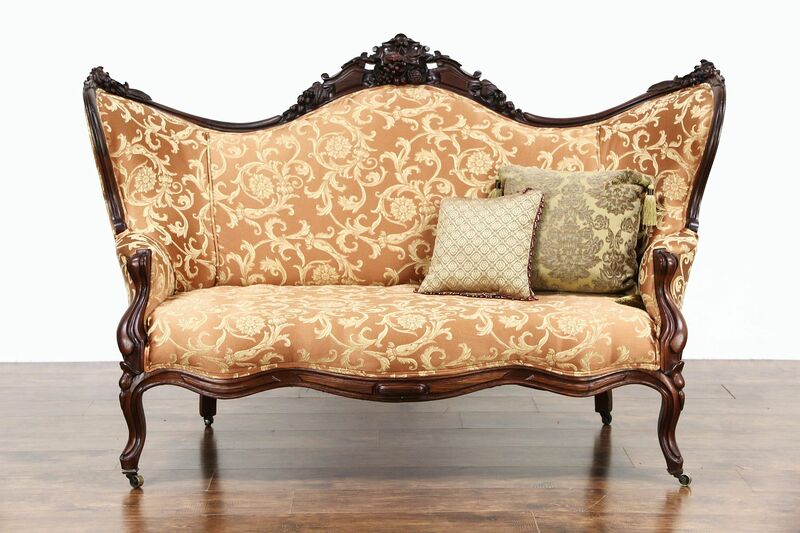 This graceful sofa has been newly upholstered in a fabric design of the era. The satiny finish is in excellent condition. There have been various restorations over the years, and the frame has been reglued to serve another generation. American made antique furniture, brass wheels are original. Size is 66" long, 32" deep, 42" tall and the seat is 17" high.